We sadly had to leave Moorea and the Intercontinental. I was hoping to get in another swim under the volcano before we left. We checked out at 10:15 and our taxi drove really fast in the rain to get us to the ferry on time. The ferry departed at 11:30am. Our taxi driver, who was arranged through the resort, offered to buy our ferry tickets at the window for us at the local resident rate. A regular tourist ticket is $15 per person, one way. We gave him $20 and he brought us back two tickets. Not sure how much they really were, but it saved us $10. It was raining but it wasn't storming. 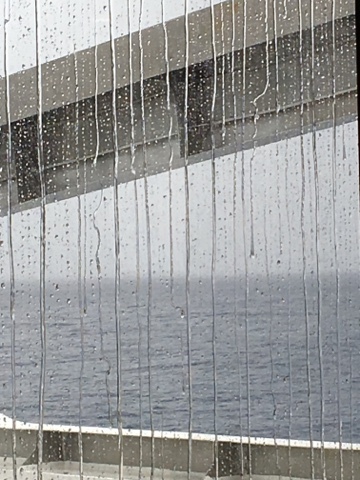 Once the ferry took off and we were in open waters, we were really rocking back and forth! I was a little nervous. We sat front row so maybe the waves weren't as bad at the back of the boat? 45 minutes wasn't bad though. There was a taxi stand right next to where you pick up luggage. 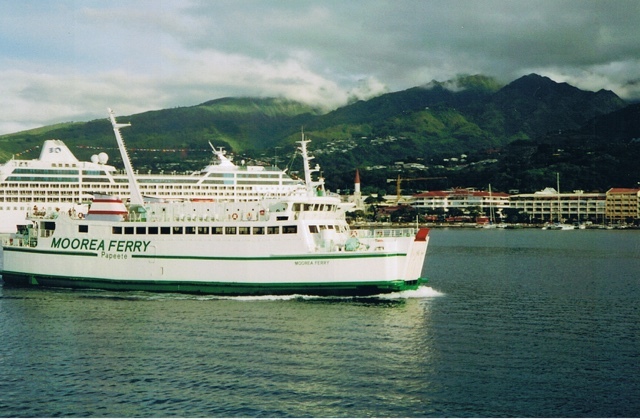 It was $45 from the ferry to the Intercontinental Tahiti. 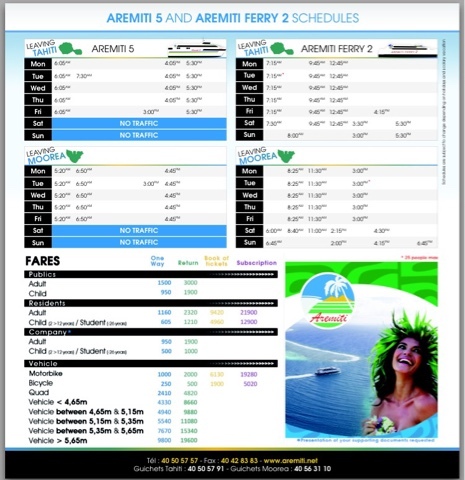 For the price and ease the ferry ride is a no brainer over the flights between Tahiti and Moorea.